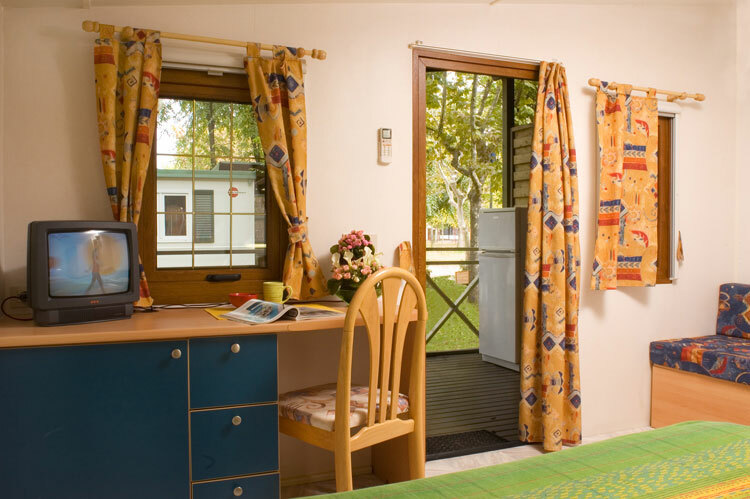 comprise two rooms of 14 m² in total with air-conditioning and satellite television. 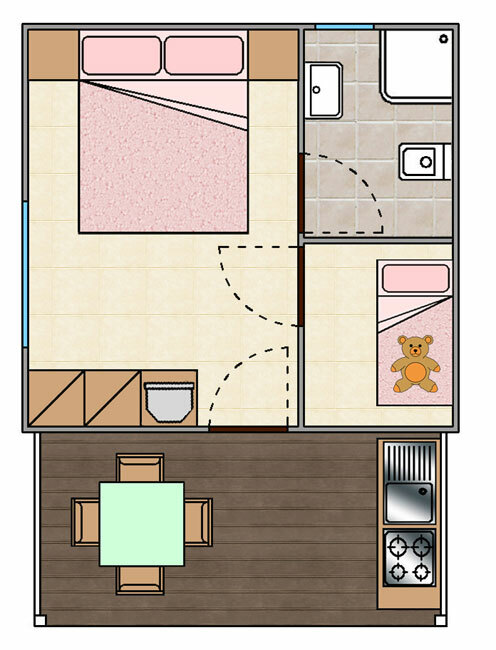 There is one bedroom with a double bed and a small room with a child’s bed (1.40 m length) plus a bathroom with hot water shower. 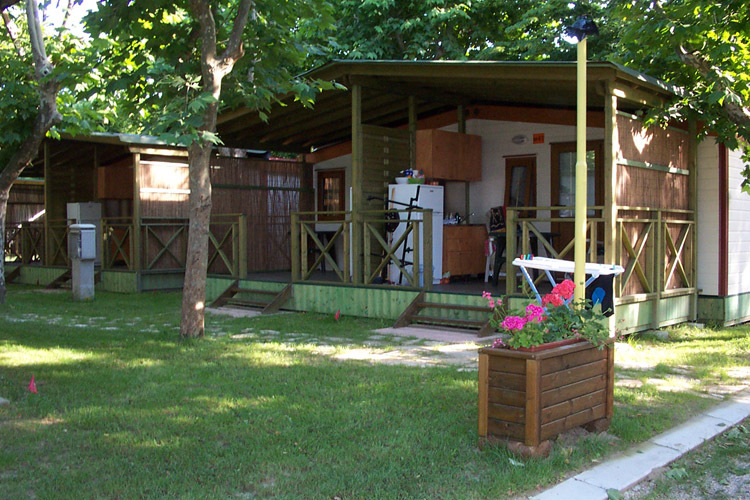 There is an open veranda (9 m²) with kitchenette, table and chairs. A private parking space is close to the cottage. 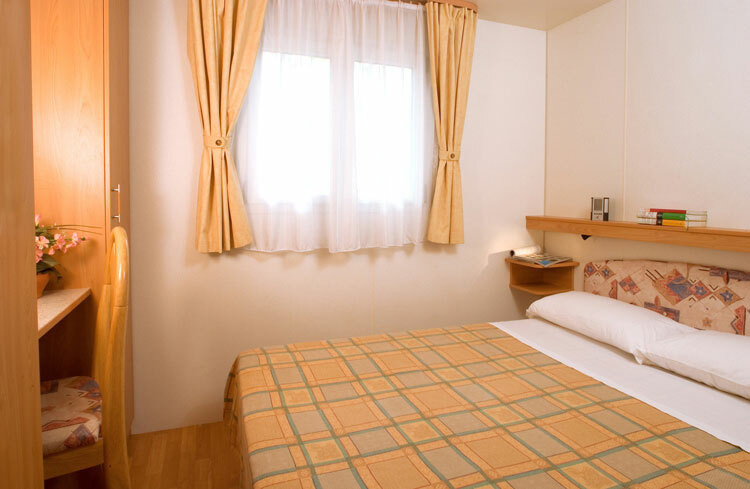 comprise a large room of 14 m² with air-conditioning and satellite television. 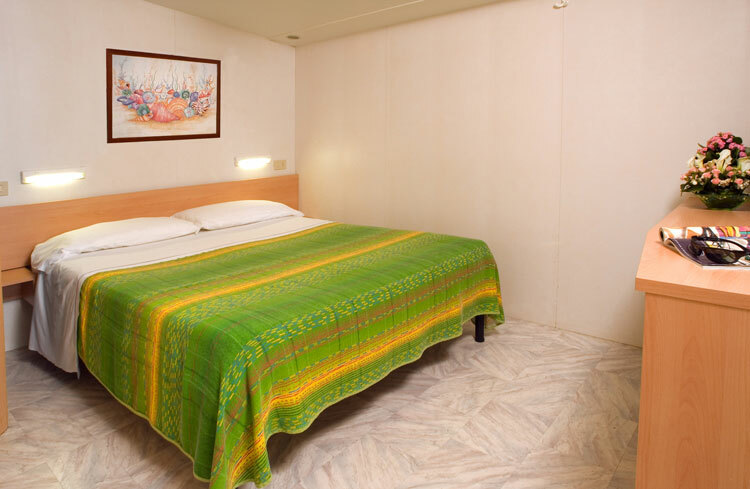 The room is equipped with a double bed and a seating area. There is a bathroom with hot water shower. 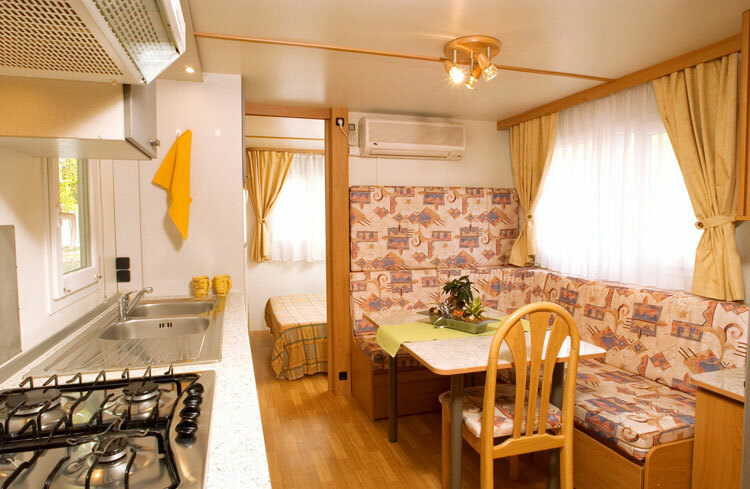 The open veranda (9 m²) has a kitchenette, table and chairs. A private parking space is close to the cottage. 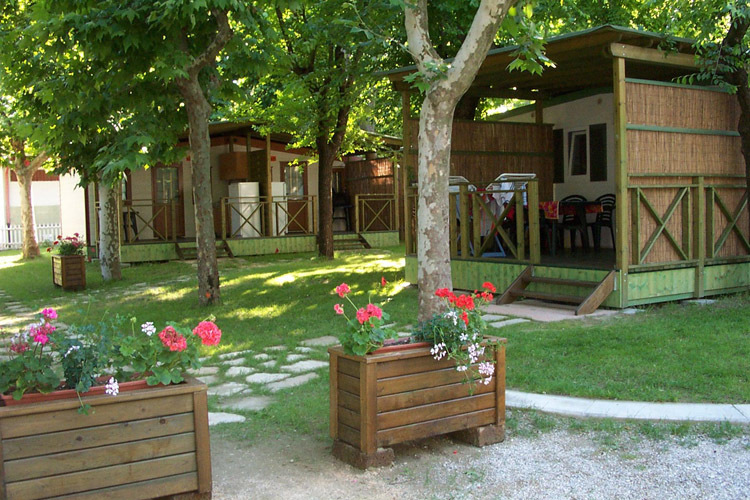 comprise three rooms of 24 m² in total with a television and air-conditioning. 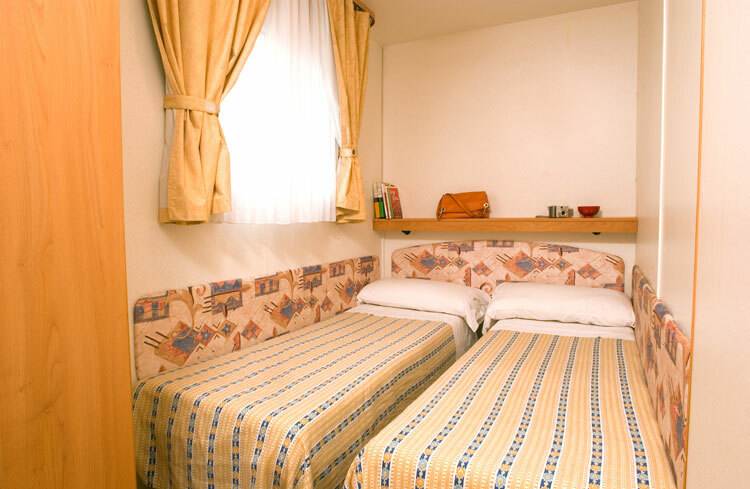 There is a bedroom with a double bed and a small room with a queen-size bed. 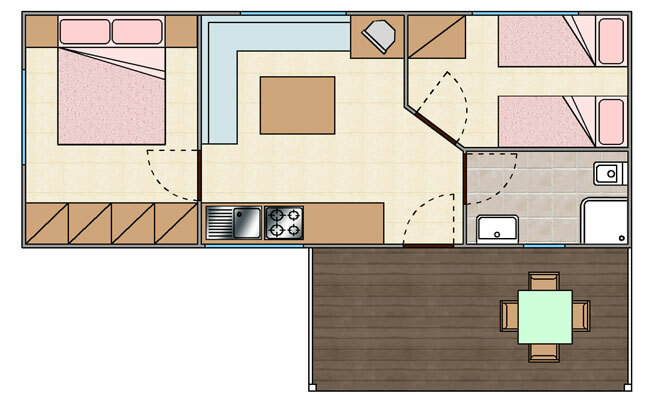 The living room is fitted with a kitchenette and a sofa bed for one person plus a table and chairs. The bathroom has a hot water shower. The open veranda (10 m²) has a table and chairs. A private parking space is close to the cottage. sm 22- are for max. 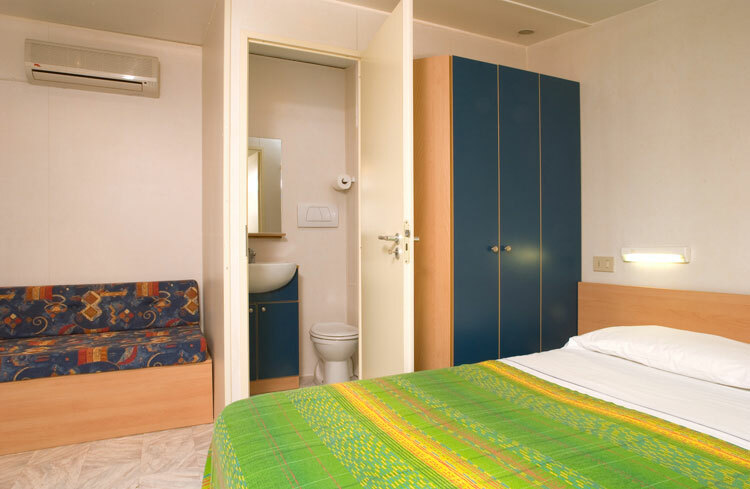 4/5 persons and provided with TV and air-conditioning unit, they are made up of a room with a double bed and another room with 1 bunk-bed + a little living-room with a divan-bed of 1,5 places, a toilet with warm shower. Outdoor Veranda (sm.9) with kitchen corner table and chairs. 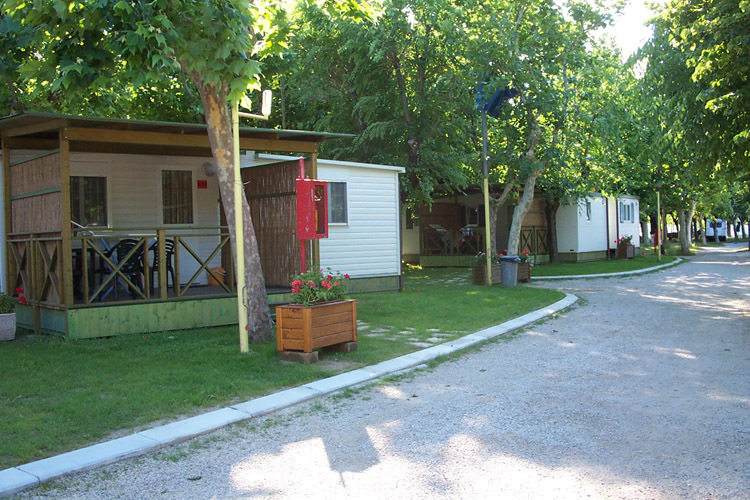 Private car parking near the chalet. 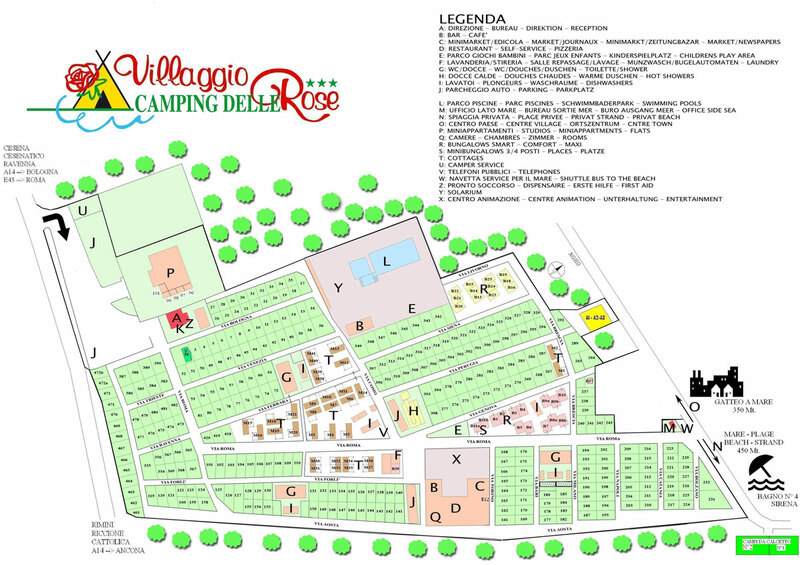 The House Tent (max. 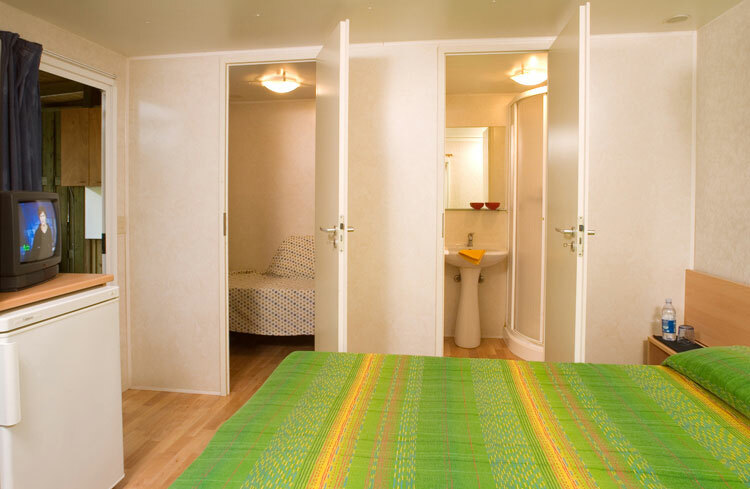 3/4 people) are habitable wooden unit with AIRCO for 3/4 persons. Veranda with kitchen corner, table and chairs. with WC and washbasin - no shower.